Using the USB-C port on your 2017 iMac / iMac Pro add 2 full-sized USB 3.0 ports, an SD card slot and a USB-C data transfer port on your computer. Plug in USB devices such as a keyboard, mouse or printer to your iMac. Features a handy clamp on design. My problem was the lack of ports on my iMac. 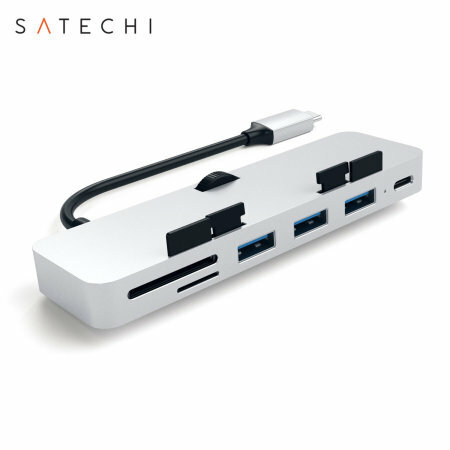 This product does exactly what it says by providing a range of additional ports as well as card slots. It fits easily and neatly - for maximum effect make sure you match the colour of your Mac!